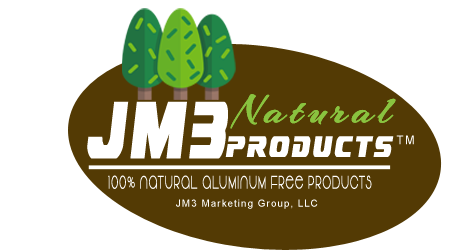 100% natural & 100% aluminum free. No Streaks! The importance of natural deodorant! 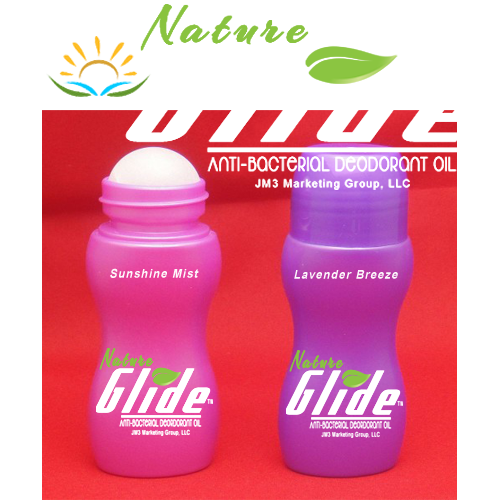 Nature Glide Anti-bacterial Deodorant Oil is a porous all-natural liquid that blocks unwanted body odor using only 100% all-natural non-toxic ingredients. Traditional toxic deodorant products contain aluminum compounds that act as a plug within the sweat ducts and temporarily stops the flow of sweat and can be absorbed by your skin. Nature Glide uses natural anti-bacterial ingredients that lay on the surface of the skin, naturally breaking down odor causing bacterial and then fades away during the body's daily activities. The scientifically designed anti-bacterial conduit also conditions the your skin. Because of heavy unhealthy chemicals and the ability for the body to absorb these chemicals, most retail deodorants can last days without re-application, even after a shower. This is not natural, sanitary, or healthy. A natural deodorant needs to be applied daily and during hot or balmy days may need to be applied twice daily. We have become so accustomed to the effects of the heavy chemicals in most retail deodorants that we do not even realize the severe harm we are causing ourselves, and passing on to our children. Not to mention the damage caused by drainage water from our showers that continues to carry and recycle these heavy chemicals throughout our water systems. Parabens are a very common ingredient that are found in everyday cosmetic products and your deodorant as well. You may have seen “paraben free” labels, and it’s a good thing. So why is everyone so down on parabens after it has been used for nearly 70 years? Since 2004, studies found evidence linking parabens to breast cancer. They are said to disturb the body’s hormonal balance and to mimic estrogen, as estrogen is said to play a part in breast cancer formation. Aluminum compounds within deodorants act as a plug within the sweat ducts and temporarily stops the flow of sweat. However, these compounds can be absorbed by your skin. Just as the parabens, these compounds can mimic estrogen, which promotes growth of breast cancer cells. Silica is a known skin irritant, it may also be contaminated with crystalline quartz which is a carcinogen (capable of causing cancer). Triclosan is another ingredient that can irritate your skin and cause contact dermatitis. Your body contains good as well as bad bacteria, but triclosan kills both. The FDA classifies triclosan as a pesticide, while the IARC has it listed as a possible carcinogen. The IARC claims that if talc contains asbestiform fibers, then it is considered a carcinogen. The quantity of asbestiform fibers in popular commercial deodorants is unclear as it is not regulated in cosmetic products. Propylene glycol is another common ingredient with health hazards. It may cause delayed allergic reactions, and is considered a neurotoxin, which may cause kidney and liver damage. The “n” stands for a number. So the label may say, for example, steareth-1. It is actually derived from vegetables, but it is reacted with a known carcinogen, ethylene oxide.